We use synthetic textile device technologies for everything from the textile products which enrich peoples’ lives to the water essential for people to live. Our volatile organic compound processing equipment takes on the environmental problems of the future. Kyowa FineTech applies flexible approaches and unique technical strengths, constantly striving to be a company that earns the rapport of society. The world's highest level. Our gear pump technology goes beyond mere "liquid delivery" to "accurate delivery of measured liquid volume." 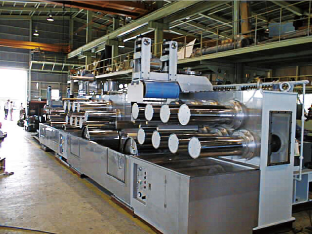 We meet various polymer and resin formation processing needs, including heating, cooling, stretching, and winding. 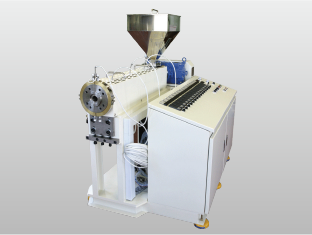 We have introduced a φ40 single screw extruder, film, and tube test line. Consult with us regarding test formation of a wide range of resins, from general-purpose resins to fluorine resin, to assist with your machine specification selection. * Consult with us regarding film and tube formation. Medical fields, such as the pharmaceutical field, are growing at a tremendous rate. We use our past experience to leverage a wide range of technologies in areas such as resin formation, processing, and electrical control to produce new products, constantly engaging in development so that we can better contribute to society. We also offer development on consignment to meet customer needs, such as collaborative research between academia and industry. We have acquired ISO13485 certification and manage our plants as medical equipment production plants. We work with medical equipment responsible for peoples’ lives, so our product manufacturing activities are closely and carefully managed. In 2016 we completed construction of a new plant, with our eyes set on even further advances. Our FEMTOWAVE® optic technology brand, made in Japan, combines innovative ideas in the applied ultra-short pulsed-laser field with ultra-high precision design. It can be used in a wide range of applications, and has been deployed in a variety of companies and research institutions in fields such as the manufacturing, medical, and energy fields. 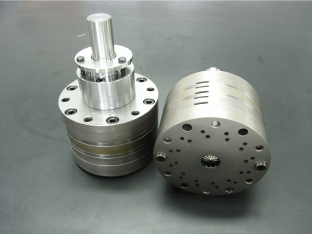 Our complete service, with the reliability that can only be achieved in Japan, our high-precision design, and our extensive expertise are combined as one to achieve advances in uncharted fields in various industries. Our long-term relationships with our customers, built through extensive post-delivery follow-up services such as repair and improvement services, and through the advice we offer, mean everything to us. We carry out device component maintenance and modification responsibly. We create work histories and photograph reworked components before shipping them. Consult with us regarding your maintenance needs for aging equipment.